Classic rock comes in many forms and attracts people with a variety of musical tastes. If you’re a classic rock fan and you have a predilection for bands that rock hard and put out a 100 per cent effort every time they step onstage, then you need to make the short drive to Hershey this weekend. On June 30, the GIANT Center (550 West Hersheypark Drive, Hershey, www.hersheyentertainment.com/giant-center) will host legendary rockers STYX and Joan Jett & The Blackhearts when they make the only area stop on their co-headlining summer U.S. tour. The tour, which has Tesla as the opening act, kicked off May 30 in Irvine, California at the FivePoint Amphitheatre. 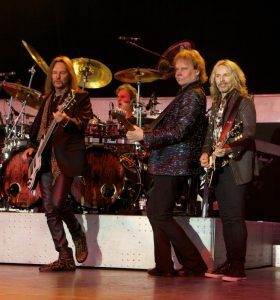 STYX’s long list of hit singles includes “Lady,” “Come Sail Away,” “Babe,” “The Best of Times,” “Too Much Time on My Hands,” “Show Me the Way,” “Renegade,” “Boat on the River” and, of course, “Mr. Roboto.”“Babe” reached Number 1 in the charts while “Show Me the Way,” “Mr. Roboto” and “The Best of Times” topped out at Number 3. The current STYX lineup includes Tommy Shaw (vocals, guitars), James “JY” Young (vocals, guitars), Lawrence Gowan (vocals, keyboards), Todd Sucherman (drums) and Ricky Phillips (bass). Shaw and Young have been with the band since its start in Chicago in 1970 while Gowan and Sucherman joined the group prior to the turn of the century. “The band started in 1971 – almost half a century ago,” said Gowan, during a phone interview Thursday morning from a tour stop in Syracuse, New York. Gowan, who was born in Glasgow, Scotland, is a native and still resident of Toronto. Dating back to 1982, he has released a number of albums on his own in Canada and has had several hit singles. All along, Gowan has retained STYX as his primary focus. It would be hard not when considering how much the band tours. “There is a reason we have such a heavy schedule,” said Gowan. “There’s an insatiable demand to see the band. There really aren’t enough days. Classic rock is a gigantic stage and you’ve got legions of people who want to see it live. With STYX, the crowds that fill arenas at their shows are not just old cats who grew up with STYX’ hits and have been loyal followers ever since. Many of STYX’ band contemporaries that are still around are touring with set lists based almost exclusively on their classic hits. Few even to try to stay contemporary. Even fewer attempt to make new music. Last year, the band released a new album called “The Mission” – an album that is classically STYX and very up-to-date at the same time. Released on the band’s label, Alpha Dog 2T/Ume, it debuted on various Billboard charts, including: #6 Top Rock Albums, #11 Physical Albums, #11 Vinyl Albums, #13 Current Albums, #14 Top 200 Albums, #16 Retail, #17 Mass Merch/Non-Traditional, #29 Digital Albums, and #45 Billboard 200 (includes catalog and streaming). “It had been a while since our last album,” said Gowan. “Over the years, we had so many good ideas for new music – a lot of good pieces. We decided to make the album ourselves. “We recorded the album in Nashville using two-inch tape and analog gear. We used John McBride’s Blackbird Studio. We pretended that digital didn’t even exist – until it was time for editing. Video link for STYX — https://youtu.be/i1gVIBKZ6cg. 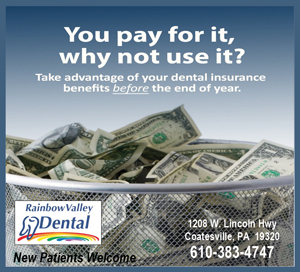 Tickets are $29.50, $69.50 and $99.50. Back in the 1970s, there was a Monty Python album – “The Monty Python Matching Tie and Handkerchief” – that was designed to confuse listeners. The album’s original vinyl LP edition was mastered with two concentric grooves on side two, so that different material would be played depending on where the stylus was put down on the record’s surface. One person could play the album for you and you’d hear one thing and another friend could put the same album on the turntable and you’d hear something entirely different. The Seattle band Isenordal can bring about similar scenarios for listeners. If your introduction to the music of Isenordal was the band’s new album “Spectral Escape,” you’d think of the act as a neo-folk band with a slightly creepy vibe. 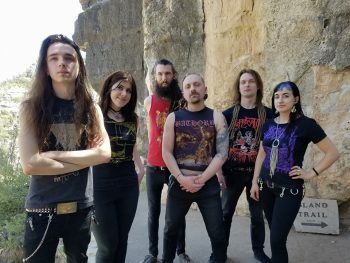 If your first taste of Isenordal was “Eternal Winter of the Mind,” which is the band’s track on the new split single with Void Omnia, you would think that the band was a black metal doom band ready to slowly level anything in its path. In reality, either scenario would be accurate. Isenordal, which is playing on July 1 at Kung Fu Necktie (1248 North Front Street, Philadelphia, 215-291-4919, kungfunecktie.com), is a Seattle-based black funeral doom/dark folk project that began in 2013 in the Cascadian region of northwestern United States. On June 1, Isenordal — Kerry Hall, Guitar, Vocals; Marisa Janke, Viola, Vocals; Sam Smallidge, Guitar; Brian Spenser, Drums; Jeff King, Bass; Lieu Wolfe, Piano, Organ — released “Spectral Escape” via Eternal Warfare Records. On June 10, the band released the “Eternal Winter of the Mind” single. “We recorded the album, which is neo-folk, in April,” said Hall, during a phone interview Wednesday afternoon from a tour stop in Milwaukee. “We also did the song for the split single with Void Omnia at the same studio session. When we play live, we have basically two sets we can play – metal or neo-folk. We have a funeral doom full-length we recorded last year. According to a press release, “Produced in 2016 as a testament to grief and an exploration of purgatory, in a time where the group itself was going through arduous lineup changes, ‘Shores of Mourning’ is a monument to Isenordal’s camaraderie with members past and present — a study in loss.” The album was described as a mixing Cascadian black metal influences with funeral doom, Viking metal, and neofolk. “All our influences are coming together,” said Hall. “If we’re headlining festivals this summer, we’d like to do split sets in one show. Black metal, funeral doom and neo-folk all have their place. On this tour, we’ve been playing just metal stuff. Last year, we did a neo-folk tour and it went over well. Video link for Isenordal – https://youtu.be/BsQ8Hq3qobQ. The show at Kung Fu Necktie will start at 8 p.m. Tickets are $7. With so many varied events offered in Philadelphia’s Independence Day celebrations this year, making choice can be difficult. If you’re a fan of Broadway shows – or if you’re just interest in getting exposed to live theater – there’s an event you shouldn’t miss. 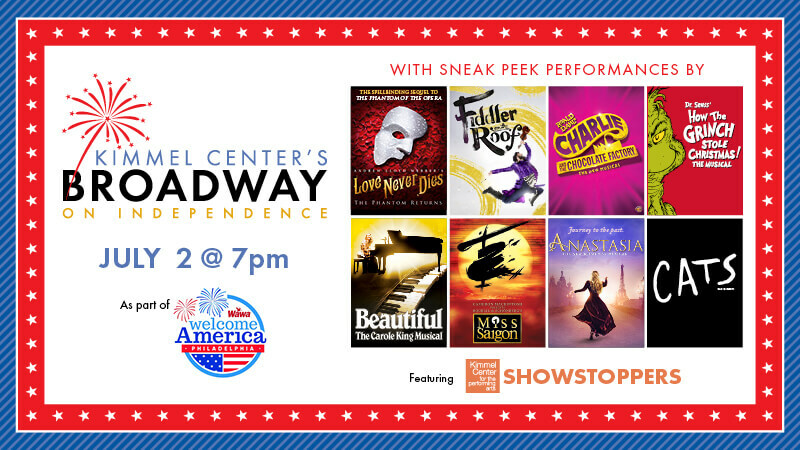 On July 2, the Kimmel Center for the Performing Arts (www.kimmelcenter.org), in association with Wawa Welcome America, is presenting Kimmel Center’s Broadway on Independence. The free concert, which is now in its second year, will take place on July 2 on the mainstage during Philadelphia’s Wawa Welcome America festival at Independence National Historical Park in Philadelphia’s Historic District. 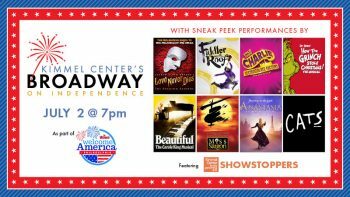 During the 90-minute show, audiences will get a star-studded sneak peek at the Kimmel Center’s 2018/19 Broadway Philadelphia season, including Broadway stars singing selected songs. There will also be family-friendly Broadway trivia, games, and more. Egler is the Kimmel Center’s resident Tony-voter and curator of the Broadway season. “It’s great being on Independence Mall showing Broadway as an American art form – and also the connection with Wawa,” said Egler. 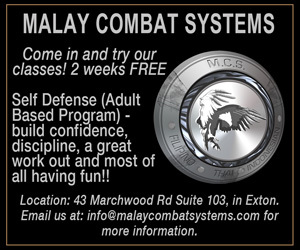 “This is a good program for our subscribers – and for thousands of people on Independence Mall. “The concert will feature songs, an MC and special guests. There will be songs from shows we’re featuring next season and shows that connect on a concert stage. This year, we have a lot of shows that are new like ‘Anastasia’ and ‘Love Never Dies’ and older shows like ‘Fiddler on the Roof. Students from the Kimmel Center’s ShowStoppers after-school musical theater program will be on hand for special performances of “Hamiltunes,” selections from “Hamilton.” Dena Blizzard, New Jersey comedian and Off-Broadway star, will return to emcee this event. Additionally, Egler will share behind-the-scenes stories and insight about upcoming shows. Video link for Kimmel Center’s Broadway on Independence — https://youtu.be/7pyoo9nMLdI. The festive show will be held July 2 from 7-8:30 p.m. on Independence Mall, which is located at Fifth and Chestnut streets in Old City Philadelphia. This is a free event. Tickets are not required to attend. If you hurry, you can see one of the Kimmel Center’s Broadway shows form this season. 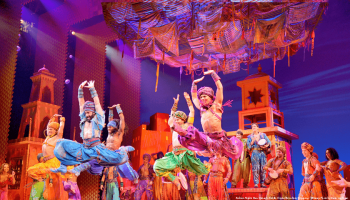 Disney Theatrical Productions in conjunction with the Kimmel Center’s Broadway Philadelphia is presenting the Philadelphia premiere of “Disney’s Aladdin” now through July 1 at the Academy of Music (Broad and Locust streets, Philadelphia, 215-731-3333, www.kimmelcenter.org). The all-ages favorite, which offers adventure, comedy, and romance, features all of the cherished songs from the famous Academy Award-winning animated Disney film and the popular musical soundtrack. Video link for “Disney’s Aladdin” — https://youtu.be/2K-9vrwilEQ. 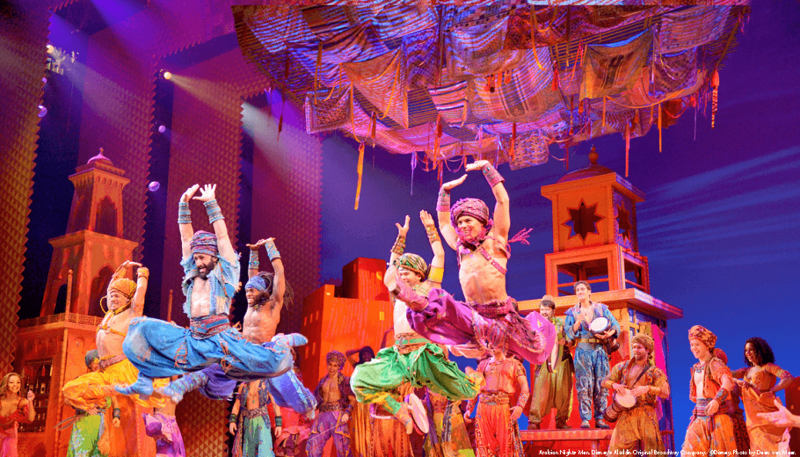 “Disney’s Aladdin” will run through July 1 at the Academy of Music. Tickets start at $20.